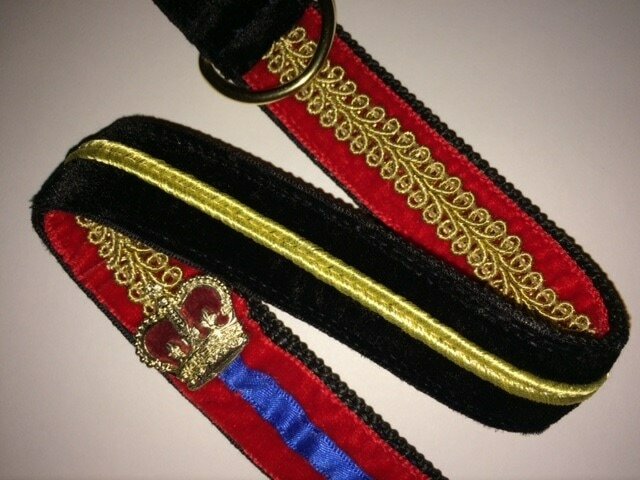 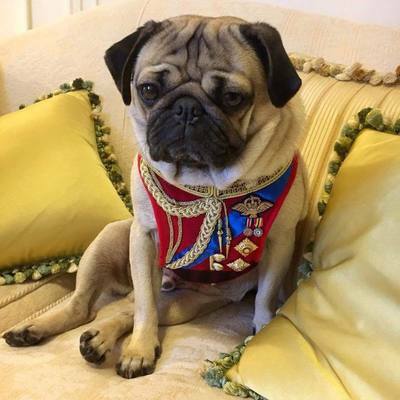 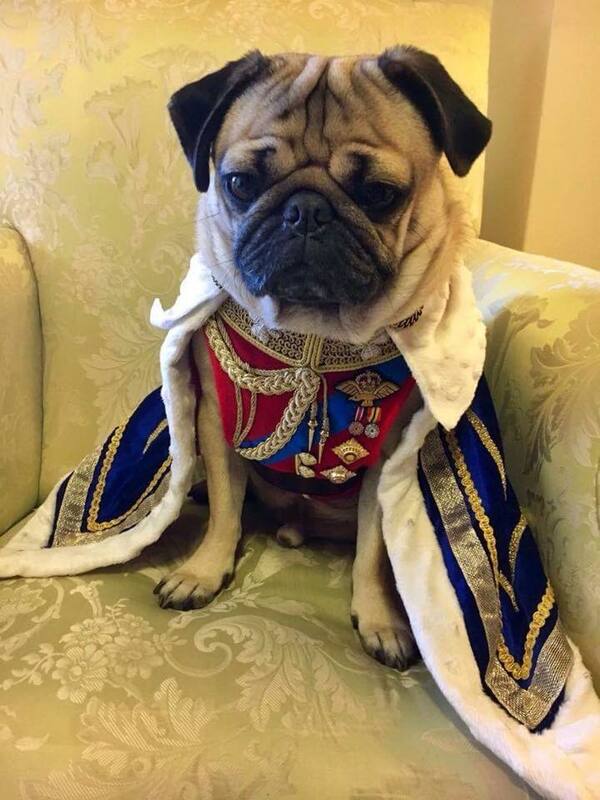 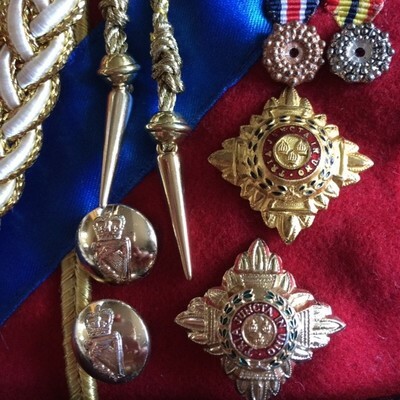 I was thrilled to be contacted via social media by Leslie Mosier (Doug's owner and manager) to ask if I would design and make Doug a very special Royal inspired harness for his first visit to the UK. 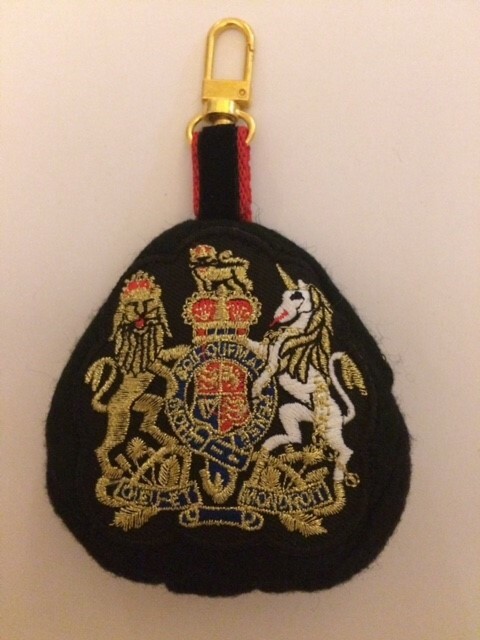 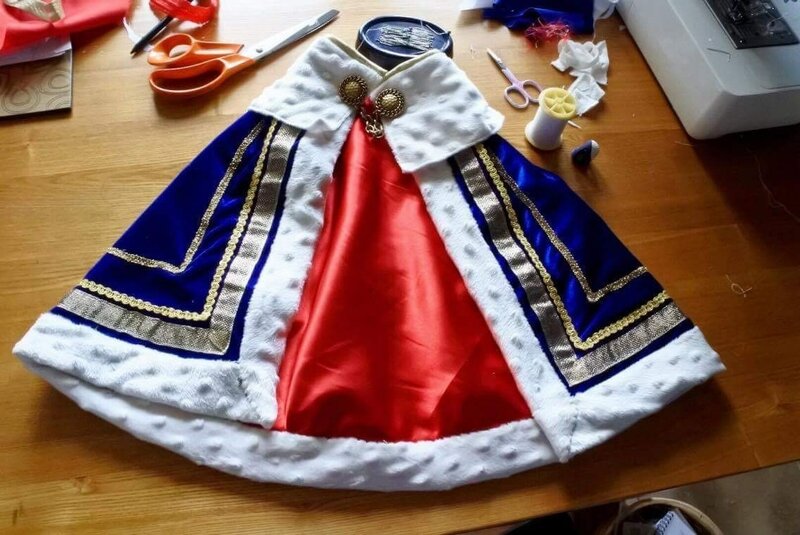 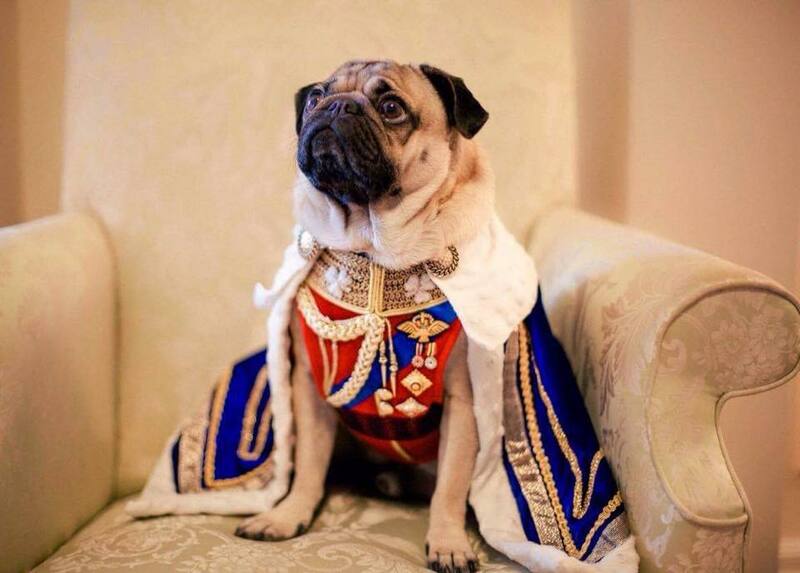 Doug came to London to launch the book Doug the Pug - King of the Internet (now a New York Times best seller), so I designed a harness based upon the uniform worn by our future King of England, HRH Prince William, Duke of Cambridge at his wedding to Katherine Middleton, now HRH the Duchess of Cambridge. 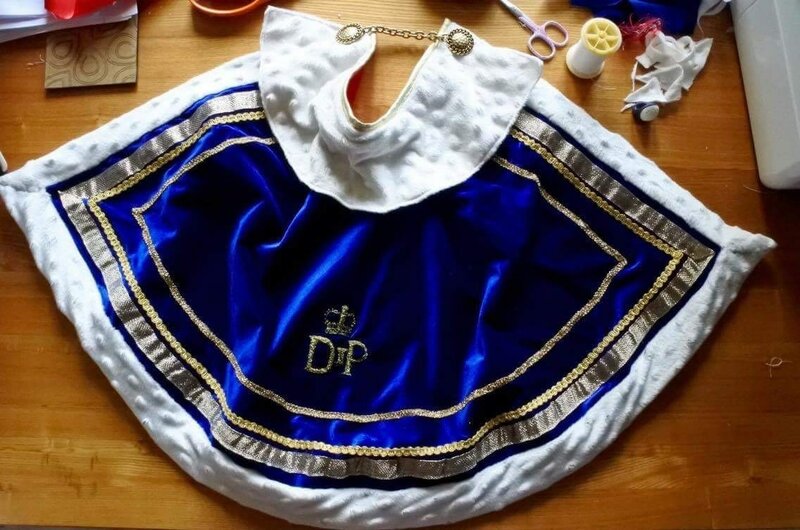 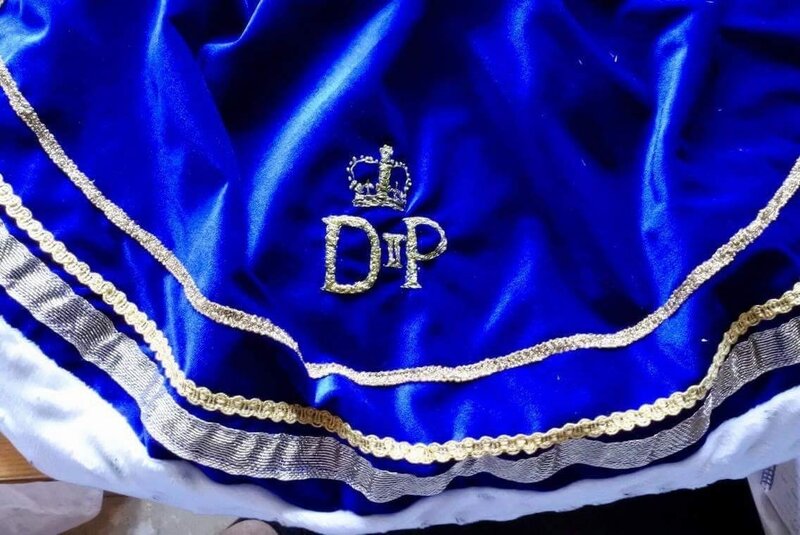 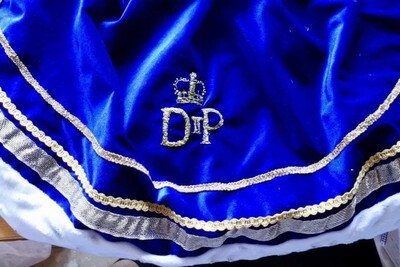 I also made Doug a matching lead and robe Royal, complete with his own hand embroidered DtP monogram. Two pictures of Doug wearing his SwirlyQueen harness and robe posted on Instagram have amassed over 200,000 likes to date.